Preparation, they say, is the key to success. You may have slogged to get a great degree (and paid a small fortune in tuition fees) but you’re not the only one. Competition for graduate positions is off the chart in today’s job market. According to Graduate Monkey, there is an average of 50 applicants for every graduate job or internship available in the UK, and only 2% of those are successful. Needless to say, it’s tough out there. 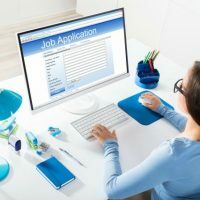 How do companies weed out applicants? At the first stage they use application forms and increasingly, aptitude tests, to whittle down the field. This tests an applicant’s ability to perform different tasks. They can be taken online or at a testing centre and they assume no prior knowledge. There are lots of different types, from those testing numeracy and verbal reasoning to those testing cognitive skills and situational judgement. They are run by different independent organisations and the results will be quantified and compared with other test takers. If you don’t pass an aptitude test, you won’t move onto the next stage. So, even if you are the best person for the job, you could fall at the first hurdle simply because you haven’t prepared. What can you do? 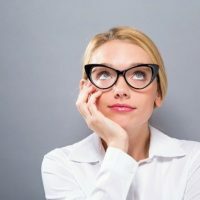 We’ve put together 10 tips and tricks to give you that all-important edge, in collaboration with fast-track aptitude test preparation website Graduate Monkey. If there is one thing to remember about aptitude tests, it’s this: however clever you think you are – you can’t wing it. The most important tip of all is to hone your skills and practise, practise, practise. Consult Google to find out what type of test might come up. Graduate Monkey have a range of Test Prep Packages covering all types of aptitude test. The packages include practice tests (with answers) as well as video tutorials, eBooks and support. You will have to pay a fee (£39 for the All-in-One Bundle Pack) but it’s a small price to pay to land your dream job. Are you bad with numbers? Communication? Work on your weaknesses. This will not only improve your chances of acing the test but will boost your confidence when it comes to being interviewed. Don’t practise while you are a) making the kids’ tea b) watching a Netflix boxset or c) having a night on the town. Give yourself time and space and make sure you have a quiet comfortable place to concentrate. Don’t forget to take a cuppa break to refresh your mind. Lack of sleep affects mental agility. The night before the test, go to bed early. Take a nice long bath and avoid alcohol. You’ll be fresh and ready the next day. Do some breathing exercises to improve blood flow to the brain and calm those nerves. Breathe in slowly through your nose and then out through pursed lips 10 times to become Zen-like. Whatever you do, don’t turn up with one broken pencil, or worse, nothing at all. Get yourself kitted out with a few good pens, a calculator (if you’re allowed one), a dictionary and some rough paper for working things out. Aptitude tests are usually timed so work out how much time you can spend on each question and write it down. This will stop your mind racing and help you feel in control, which will help your performance. Also, take a watch! Don’t rush into putting pen to paper thinking you know the answer already. If you don’t know exactly what the question is about, you will most likely get it wrong. Read each question or instruction twice. Take a breath to collect your thoughts and spend a few moments to plan your answer. You’ve done your research and practised until your eyes hurt. But we’ve all had that moment in a test or exam where your mind goes blank. If this happens to you, take a pause. Breath. Unless you’re having a medical episode, you’re brain will kick in. Take a tip from professional athletes who get rid of the butterflies before a big event by telling themselves: ‘You got this’. This should help clear your mind and get your brain sparking again. If you are not sure about a question, don’t guess. Try reading it again and if there’s no lightbulb moment, move on. You can come back to the question at the end. Guessed answers will show the company that you are not serious and prone to knee-jerk reactions. If you don’t do so well on the test, ask the company for feedback on where you went wrong. This will help you on future tests. Remember: Preparation is the key to passing aptitude tests. Good luck! 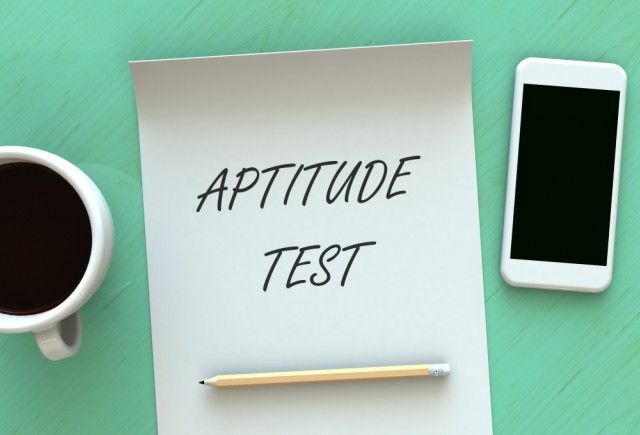 Have you recently taken an aptitude test? What was your experience? Add to our tips list in the comments box below, our readers would love to hear from you. Who Else Wants a High Paying Job?